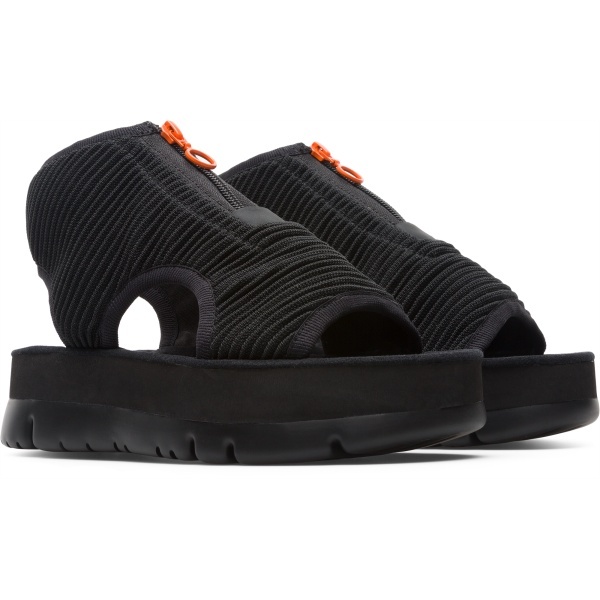 Named after the Spanish word for ‘Caterpillar’ due to their ability to bend and transition, these black chunky platform sandals offer a more contemporary summer look. 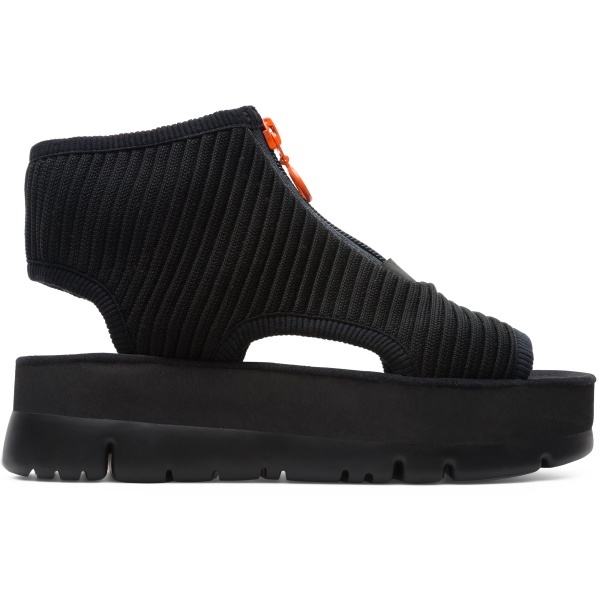 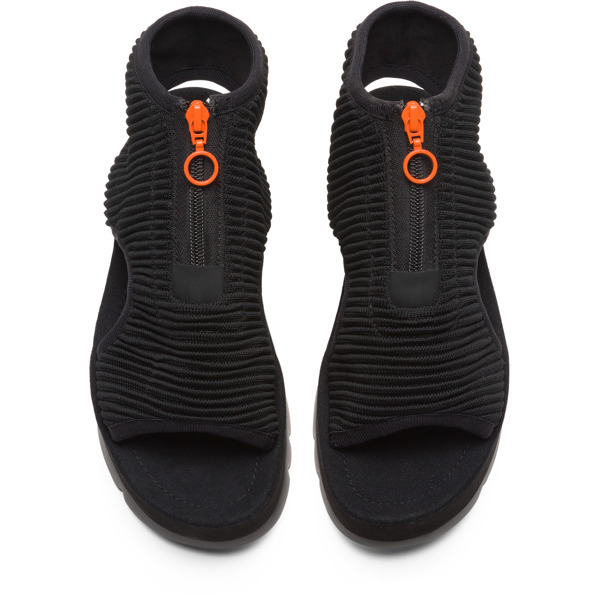 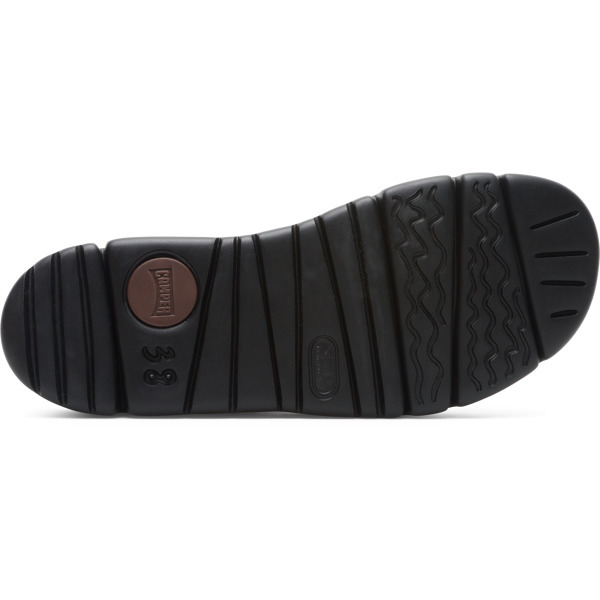 The breathable uppers are made of knitted polyester and feature a frontal zip, making the sandals very easy-fitting. 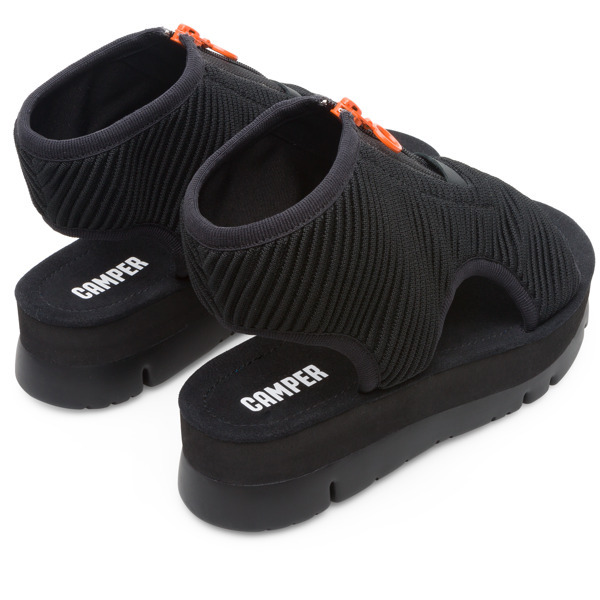 With 4.2 cm platforms for that extra boost, their lightweight outsoles feature vertical cuts for added flexibility.